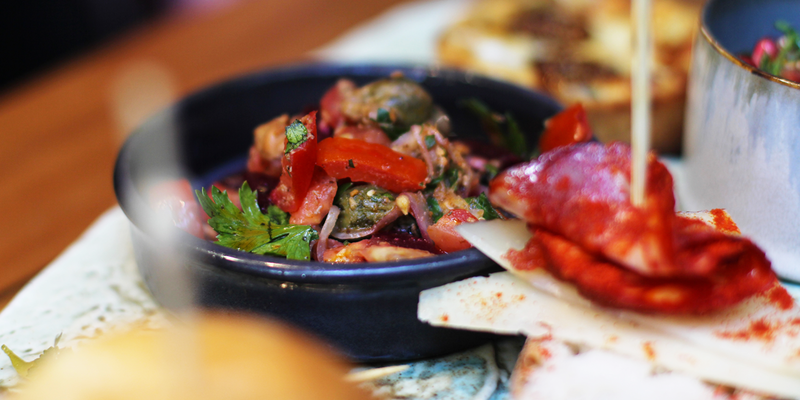 Much like a bull seeing red, when we see a menu full of mouth-watering tapas we’re liable to lose our minds. The skilful culinary maestros at Burnett Lane’s newly open tapas bar El Matador are capable of working us into a feasting frenzy with a potent procession of pintxos, banderillas and conservas, and with a formidable selection of drinks to boot, El Matador scores a resounding ¡Olé! from us. 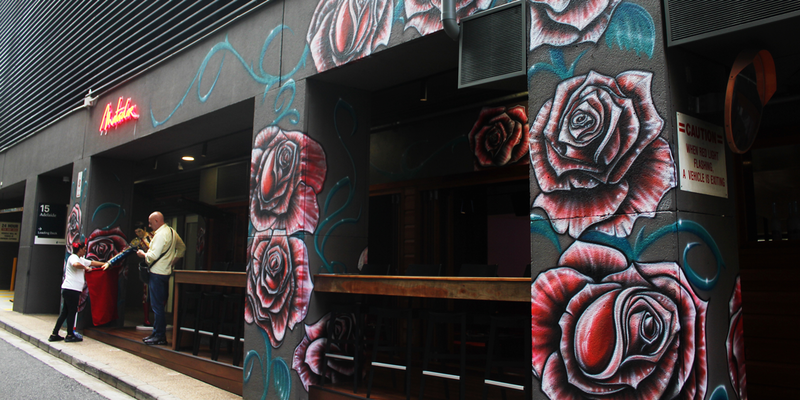 El Matador officially opens its doors today, Thursday April 11, cementing Burnett Lane as Brisbane’s hottest night-time strip. Leo Castelluccio is a seasoned veteran when it comes to operating nightlife hotspots. Establishing Melbourne venues such as Cato, the Graffiti Club and Bakers Gallery has given Leo a sharp perspective on what punters crave, but his newest venture (and first Brisbane concept) tapas bar El Matador might be closest to Leo’s heart and personal tastes. Tapping into his own European heritage, Leo has established what he describes as a no-pressure hideaway where variety and interactivity are as important as the offering itself. El Matador’s Burnett Lane tenancy has been designed by Leo and constructed by his own construction company, ensuring that the end result is as true to his vision as possible. The 70-seater venue boasts rustic wooden fixtures, moody illumination, colourful murals and bright pops of red, crafting an eye-catching space with various nooks and corners set up for groups to eat, drink and party as they see fit. El Matador also takes advantage of its laneway setting, with large open windows and bench seating along the venue’s façade offering a fun interplay with Burnett Lane itself. El Matador is looking to give Brisbane eaters the truest sense of tapas possible, and the menu has to be seen to be believed. When it comes to creating El Matador’s extensive menu, Leo and head chef Shane Lurie are doing their due diligence to ensure that the offering is as authentic as possible. The kitchen crew is working with some very impressive ingredients, from acorn-fed ‘black hoof’ Iberian pig to fresh Alaskan king crab, Shark Bay scampi, and rock lobster – and that’s only the tip of the iceberg. El Matador’s humidor is chock-full of cured charcuterie meats and cheeses. We’re talking Duroc jamon Serrano, Spanish chorizo from La Boqueria, La Mancha manchego, txistorra chistorra from the Basque country, San Simon cow’s milk cheese from Galica and boiled sausage from Catalonia. The fun starts early with breakfast bites – seasonal fruit tarts, tortillas with slow-cooked potatoes and onions, txistorra sausage and fried egg rolls – served with Bellissimo coffee. As the day progresses, diners can select from a range of fresh seafood on display, sampling the likes of local king prawns, Calvisius caviar from Italy, pot-roast whole fish and seafood paella. Visible at the bar is a selection of ready-to-eat cold pinchos, including Mount Zero mixed olives, salt cod and gazpacho, while hot tapas made fresh encompass patatas bravas, sticky pork ribs, albondingas (organic beef meatballs), beef cheek and quesadillas. Over at the kitchen’s impressive Pira oven, charcoal and applewood-smoked lamb shoulder and Barrowdale pork are lovingly cooked, while charcoal-grilled Cape Grim short ribs, Black Onyx tomahawks and Fairlight veal chops cap off the mammoth menu. A feast of such sizeable proportions deserves a drinks list to match, and thankfully El Matador’s quaffing material is suitably diverse. 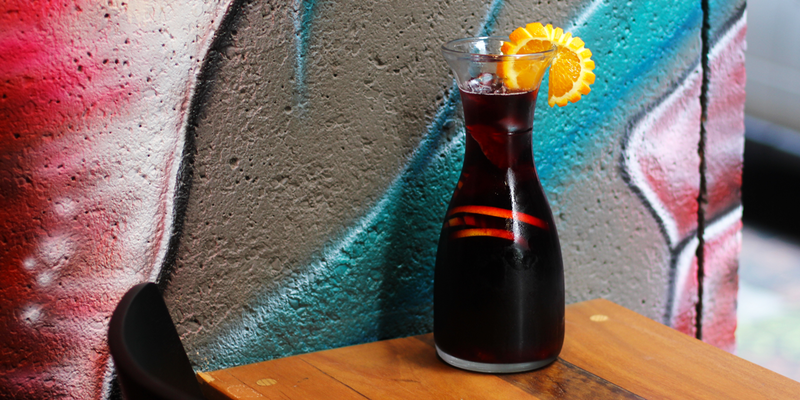 El Matador’s three kinds of sangria jugs – one gin and rioja-based, one vodka and tempranillo-based, and one cider and cava-based – are perfect for sharing amongst three to four, while the back bar filters into a strong cocktail list featuring classics such as spritzes, espresso martinis, a Patrón old fashioned, Barcelona sidecars and more. Estrella is pouring off tap, but the fridges are also amply stocked with local and mainstream beers and ciders. Wine forms the largest portion of the drinks list, and includes a worldly selection of drops from Spain, France, Italy, the United States, New Zealand and Australia. El Matador opens today, Thursday April 11. For opening hours and contact details, seek out El Matador in the Stumble Guide.